All eyes of Singaporeans were directed to a wealthy widow and a Chinese tour guide, and tongues were set wagging across the marketplace, when a relative of the widow filed an injunction against the tour guide. Layers of dramatic stories began to unfold. Mdm Chung Khin Chun, age 87 had assets to her name way in excess of S$30 million. No mean amount for any ordinary Singaporean who does not hesitate to put in a $100 bet just to get a chance to win S$10 million in TOTO winnings. 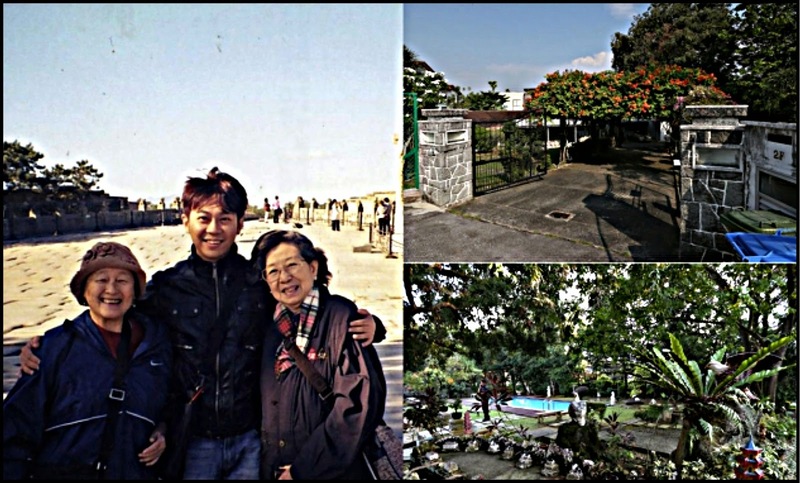 Mr Yang Yin was Mdm Chung's hired guide when she was touring China with friend Md Chang Phie Chin in 2008. By now, Wang Yin is in possession of a Lasting Power of Attorney to Mdm Chung's absolute wealth. Such is the scenario presented to the Singapore public. According to media reports on Mr Yang Yin's affidavit filed in court, Mdm Chung has asked him to be his grandson and invited him to Singapore to live with her. She had also paid large amount of money supposedly to prepare him for life in Singapore. Other parts of the affidavit accused Mdm Chung's relatives of neglect in caring for her, and Mdm Chang having a close relationship with Mdm Chung's late husband Mr Chou Sip King. Maidin Packer shared a link. THIS TALENT CAN SPOT MONEY FOR GRABS: Yang, now a S'pore PR, is embroiled in a legal battle for the assets of Mdm Chung Khin Chun, 87. They met in 2008 when Madam Chung was on holiday in Beijing. Madam Chung's husband died in '07. She has no children & was diagnosed with dimentia. Madam Chung's niece, travel agent Hedy Mok, 60, went to court to revoke Yang's guardianship of her aunt's $40 million assets. Practically every Singaporean who took interest in this case has passed a guilty judgement on Mr Yang Yin for systematic ploy taking advantage of Mdm Chung's physical, mental and emotional fragility to gain control over her fortunes. This line of thinking tend to be better accepted and further reinforced by the fact that it is common to believe that all man greeds. Such accusation can only be harsher towards those who are seemingly less well of and there are no lack of revealing stories in modern China about the immoral sin of greed to worsen the plea of Mr Yang Yin. Noticeably there is a lack of empathy towards Mdm Chung who is already diagnosed with dementia. Could she have genuinely given her fortunes to Mr Yang Yin whom she may have found comfort and happiness? The courts can decide on medical grounds of whether she was in reasonable mental capacity at material time where she signed off the management of her assets. Now that she is mentally incapable to enforce nor defend her then action, even she has to subject herself to the decision of those who are fighting on opposite sides not withstanding that the decision may not be that of her will. Had relatives respected her actions? Had relatives been taking that extra mile so much so that the need for Mdm Chung to confide in someone outside the family becomes necessary? Was she not in good terms with her relatives before she had gone mentally incapable? I am merely casting doubts on the case without withdrawing that Mr Yang Yin may have truly systematically plot to take over the assets of a lonely lady.